A researcher whose project focuses on working with Indigenous communities to learn how to best mitigate the negative impact that pipeline leaks have on their communities has joined the University of Regina research community after winning a prestigious Banting Postdoctoral Fellowship. The award is funded for two years through the federal government. “This project will start with Indigenous ways of knowing about the relationships of Indigenous peoples with land, water, and energy. Then, in conjunction with the impacts of the entire supply chain of energy pipelines, including pipeline leaks, we will use what we learn about resiliency from Indigenous communities and incorporate them into policies,” says Datta. Dr. Ranjan Datta, who comes to the University of Regina from the University of Saskatchewan, will work with Indigenous communities to generate and share knowledge about the impacts of energy exploration, extraction, and pipeline leaks on Indigenous people and their resiliency. The project, entitled Indigenous energy philosophy - creating a collaborative resilient energy transition, will also focus on creating better energy management strategies and policies. Datta says pipeline leaks have impacted several Indigenous communities and have been costly to human life and infrastructure. But, he says, the problem is attention to pipeline leaks management mainly focuses on engineering solutions versus more strategic approaches that focus on enhancing community resiliency. 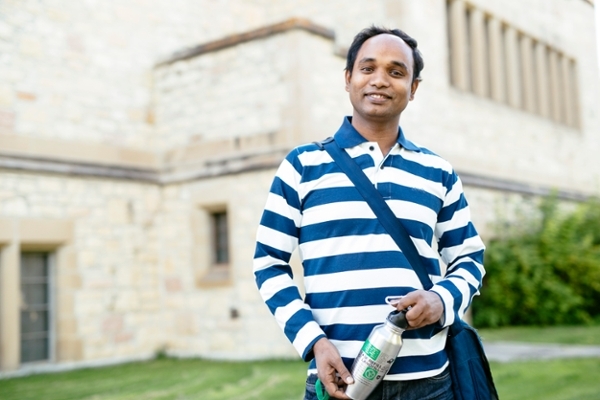 “I’m anticipating great results from Dr. Datta's research experience with Indigenous environmental sustainability, decolonization, and community-based practice combined with my water governance, law, and policy background to make relevant and meaningful policy recommendations for resilient water and energy issues,” says Hurlbert. University of Regina Vice-President (Research), Dr. David Malloy, says Datta’s 15 years of research experience with energy and water infrastructure and environmental sustainability with Indigenous communities in Canada, the United States, India, and Bangladesh will be an asset to the research project and to the University’s research community. “The University of Regina attracts top researchers from all over the world, and now Dr. Datta will help contribute to the kind of scholarship the University is known for: high impact research that makes a positive difference on communities, both here and abroad,” says Malloy. Datta will work out of the University’s Johnson Shoyama Graduate School of Public Policy (JSGS) with Dr. Margot Hurlbert, professor at the Centre for the Study of Science and Innovation Policy at JSGS. Datta’s Banting Postdoctoral Fellowship application ranked 13 out of 178 and only 23 fellowships were offered across the country. To find out more about Banting Fellowships, visit the Banting Postdoctoral Fellowships website.